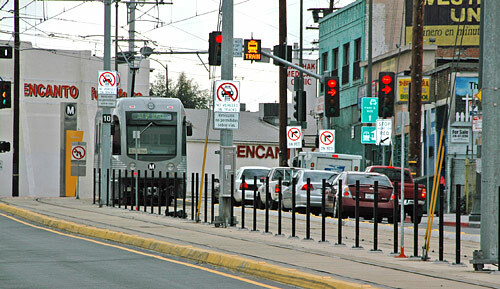 Metro has begun installing fencing on First Street to help improve safety along the Metro Gold Line Eastside Extension. About two miles of fences will be erected along the line by June. The idea is to make it difficult for jaywalkers to try to dash across the tracks.